Home yogic life	Balance your constitution with this drink! 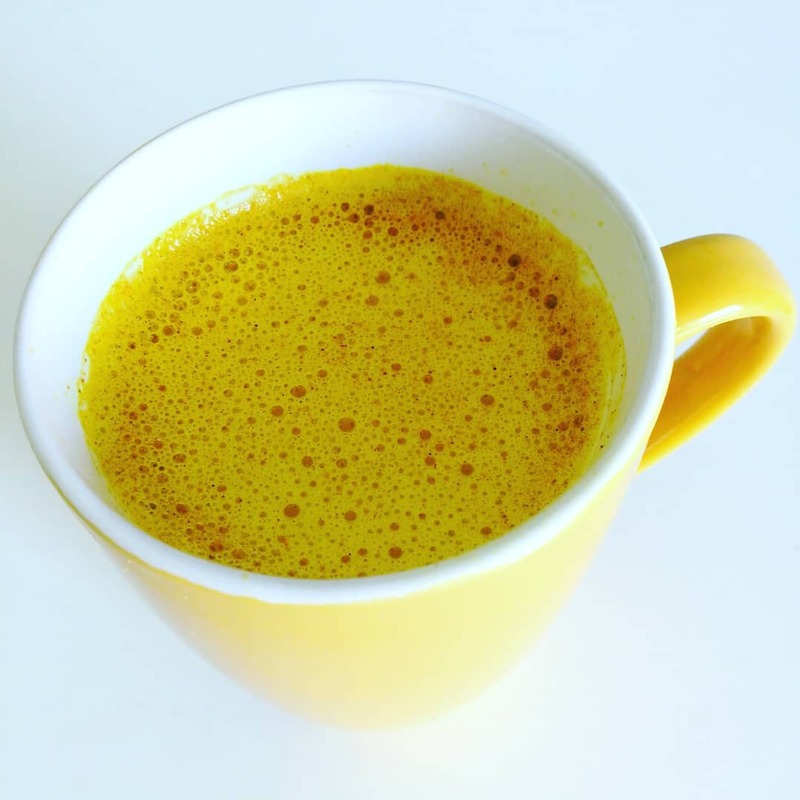 Turmeric Latte or golden milk? Same same. The difference is in the price you pay for a pre-mixed turmeric latte powder in the supermarket. Indeed it’s very simple to make this Ayurvedic power milk by yourself! Put the coconut oil into a saucepan over a gente heat. After the coconut oil got liquid, add turmeric,cinnamon and cardamom powder. Whisk it all slowly (with a wooden spoon) until you get your turmeric paste. Then add the milk and whisk constantly until you get a nice creamy golden milk. I always add ginger as I enjoy the warming and spicy effect. Therefore you can rasp a very small amount of your ginger root with a grater and add it to the hot golden milk. optional: Before serving you can add some black pepper and the sweetener you choose. Mix it all together and serve it. Tipp: If you use home-made vegan milk, be careful with boiling the milk. Especially my very fresh-made cashew nut milk curdled, when it boils to long. So Instead I only warm the milk gently up.